No Two day ticket - There are no special prices for coming both days. You would need to pay twice - Sorry. Concession for the over 65s - As an over 65 you will be able to enter the show on the concessionary rate. 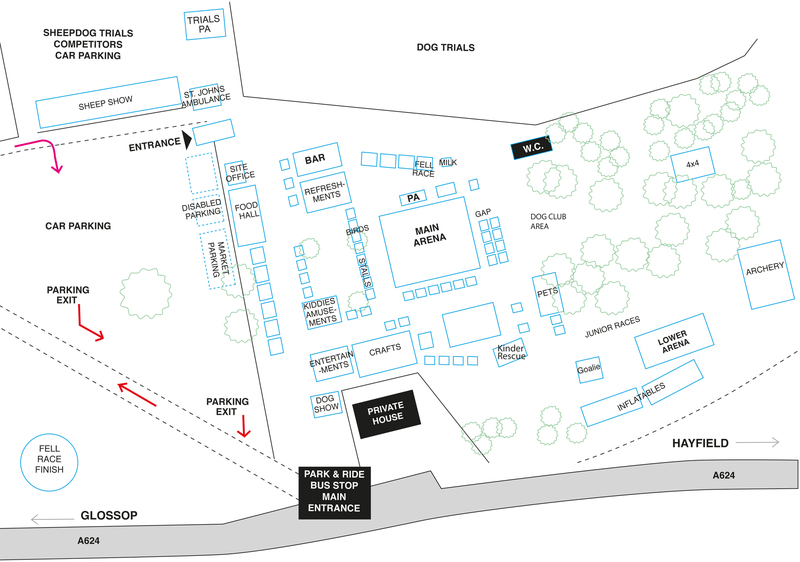 Blue Badge Holders - The concession for Blue Badge Holders is £5. Baby Changing - The show will have Baby Changing facility in the Breast Mates stall, can we have this on front page. Show opens 10am - 6pm. 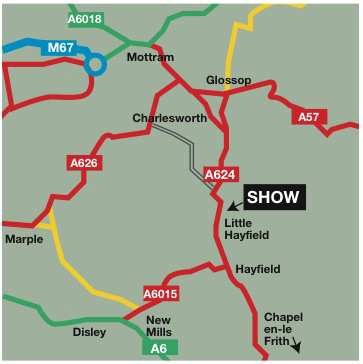 The Show Ground is situated on the Glossop side of Little Hayfield along the A624 Glossop to Chapel-en-le-Frith. Show opens 10am - 6pm. Last vehicle entry 4pm. The show ground is on a slope. 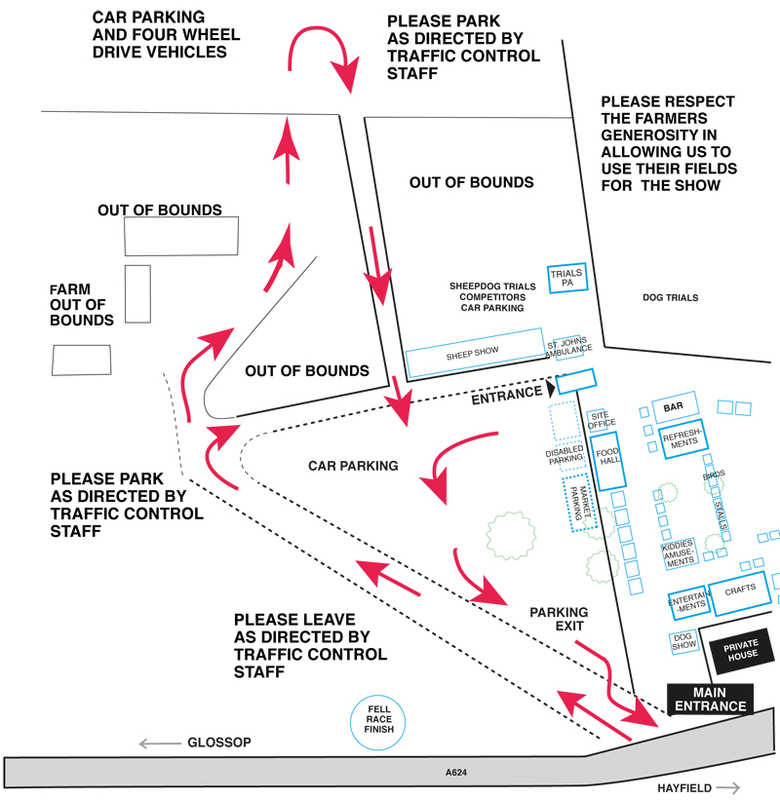 There is FREE parking at the show. FREE bus service to and from the show. Hayfield bus station car park 10am until 5pm. You will still be required to pay for parking at Hayfield bus station. BUSES from Buxton or Glossop are operated by High Peak Buses and normal fares apply. The bus stops at Little Hayfield just outside the entrance to the show ground. If you would like to sponsor the show this year please contact Paul on 07790 674998 or e-mail Sarah: sarah.mellor4@btopenworld.com.